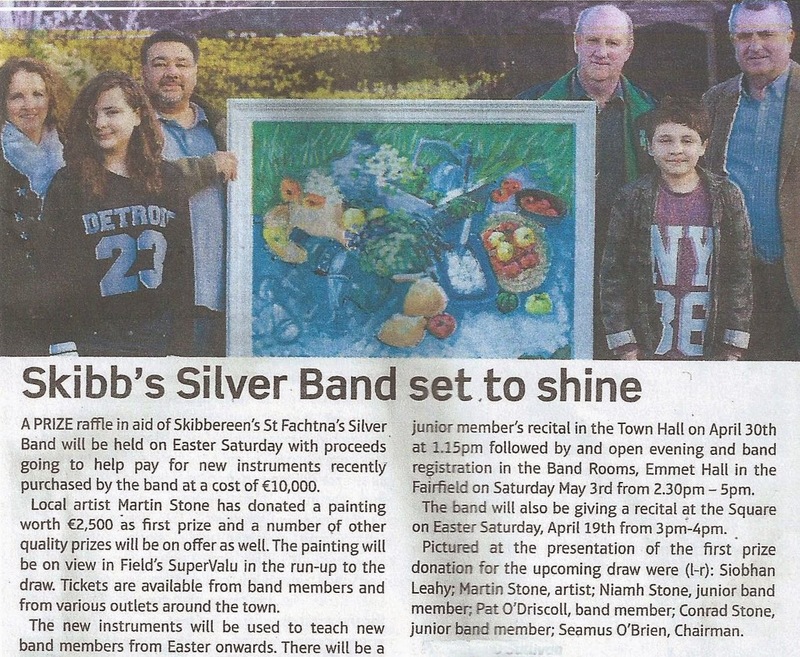 St.Fachtna's Silver Band will be reciting at the Skibbereen Town Square this coming Saturday the 19th. The recital, which will take place from 3pm - 4pm, will be followed by a grand easter raffle. If you haven't bought a ticket yet, there is still time! Fantastic prizes to be won - including a unique painting by local artist Martin Stone. Easter Sunday Morning" at 11.15 am.approx. (and weather permitting)and as a gesture for the tremendous support to the raffle and ongoing fund raising throughout the year, the band will parade from the band hall up North Street towards the Cathedral, and afterwards give a short recital before returning to the band hall.